From 1976 until 2015, E.S.T.T.V. 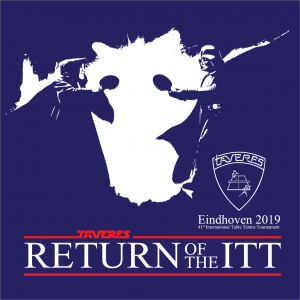 TAVERES hosted the largest student table tennis tournament from Europe. Players from all over Europe visited Eindhoven to play an awesome tournament and have a great party afterwards. Also, you can check out the ITT Facebook event, where we will regularly post updates! The subscription for 2019’s ITT have been opened! Subscribe for the 41st edition of the ITT here! For more information, see our invitation (in Dutch, English, German, French or Polish). The subscription closes on April 19th, 2019.